I have to admit that my collection doesn't sport any cards that could be considered 'rare' but I know some of our members have some really scarce cards. How about uploading some pics here so the rest of us can ogle at them? Two of my rarest A&BC Football cards. 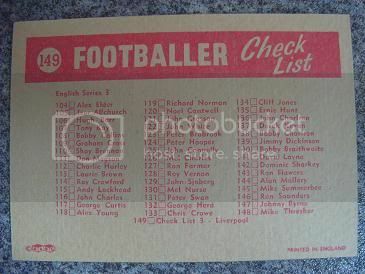 The Liverpool checklist is card No 149 from the 1964 Footballers Quiz set. My rarest card - possibly is one of the Allen & Ginter - Holborn Viaduct cigarette cards depicting Dickens Characters - These come up rarely and are a dream card if interested in early British cig cards. I doubt if anyone has a complete set! I bought mine on ebay when severa holborn viaduct cards appeared for sale in varying condition, but given the rarity even slightly damaged cards are worth it! Nice. Quite a valuable card I would have thought given the rarity and the number of Dickens collectors around. Especially this year - the 200th anniversary of Dickens' birth. I think my clown cards might be the rarest of the cards I have. theres 2 taddy clowns on ebay now might not be in same condition. not seen any on for a long time. One of the cards on ebay is at best "good", whilst the other is no better than "fair". 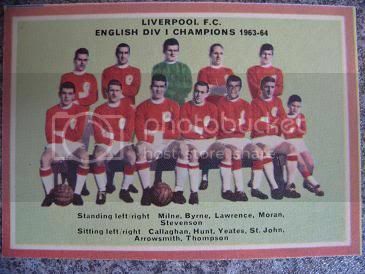 8 bids up to Â£104 so far for the first card but the reserve has still to be met! It is great to see two clown cards on eBay. unfortunately for me - they are not ones that I would need. Well, one of the Taddy Clown cards on Ebay went for Â£382, the other for Â£92. The first one was un-creased but with one clipped corner and the other three corners being very rounded, and with staining on the back. And yet, out of three Taddy Clown cards on an online auction a few days ago, all of them in excellent condition, only one met its reserve price of Â£750 (and no higher), the other two being passed. I appreciate that there's quite a difference between Â£382 & Â£750 (& of course there are costs involved), but it surprises me nevertheless, bearing in mind the great difference in quality. The card that went for Â£92 had a chunk eaten out of it. I was the one who won/purchased that card at Â£750. That particular card was one that I wanted to upgrade (out of the Clown cards I have). I passed on the other two simply because they were not cards I needed, and were not ones that I desired to upgrade. Mine was the only bid - which I guess means that the starting bid simply was too high. And as you mentioned, the other two with similar condition did not receive a single bid. As soon as I receive the card - I will be sure to scan it and post it. There are a few that I am looking for (either an upgrade or a need to complete the set).... so if anyone has a tip for me - any information would be appreciated. Congrats, Joe. Hope you'll be pleased with the card when it arrives. Must admit that I was suprised there was no bidding interest in the cards - I followed the auction thinking that the three Taddy cards would have been the highlight of the auction. There were at least 5 bidders who chased the Ebay Taddy Clown up to Â£392, and as I said, the condition wasn't much to write home about, certainly not at that price. I trust you weren't the guy who outbid me on the 1902 Players Military series in that same auction! I also thought there would be more interest in those three Taddy cards. It was a pretty steep opening bid though. I wasn't the one who outbid you on the 1902 Players Military series! I bid on the Taddy card and a golf card or two (that I lost out on). 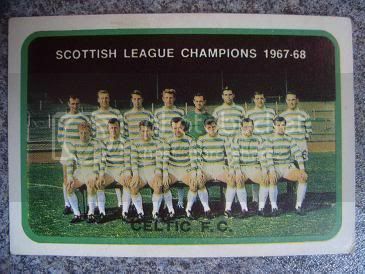 Those old Taddy cards are really nice. 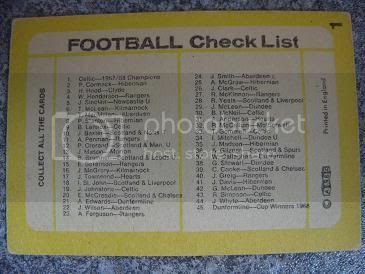 I thinks they had one or two Taddy circus cards in the recent SAS auction. Did any members manage to aquire any of them?